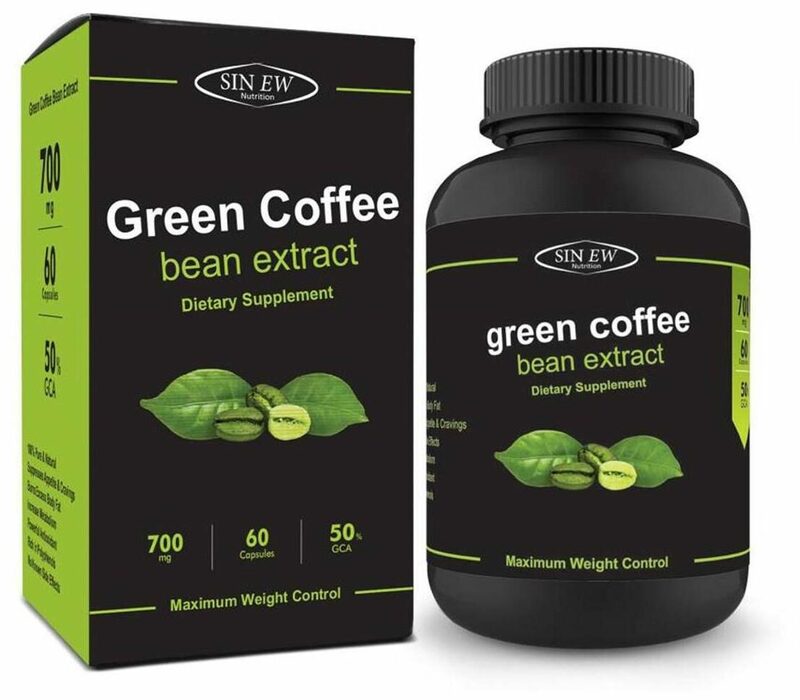 Sinew green coffee bean extract, has proven to be weight management supplement and appetite suppressant. It is great way to kick start your weight management goals and lifestyle changes. Ready to abandon cravings and overeating to the curb- you can certainly feel full and content after eating even a small meal, get that extra boost you need to get your weight management into high gear, start seeing the inches and pounds shed off today. Sinew green coffee is the best product -the truth is that not all green coffee supplements are created equally, if you have been trying other weight management products and haven't got the result you wanted, get the best product and the best price today. Vegetarian. Only pure ingredients, zero fillers, zero binders, zero artificial ingredients and made in a FDA inspected and registered facility. 700 mg of pure green coffee bean extract, processed from highiest quality beans in the market. Our formula burns both sugar and fat and slows the release of sugar into the bloodstream-contains less than 1 percent caffeine (equivalent to 1/10 of a cup of coffee). 3 serves daily 45 min before each meal. Not exceed the recommended dose. Take one cup of Sinew green coffee bean drink after each meal. Consult your medical practitioner if you have any tolerance issue or allergic to coffee, before consuming the green coffee bean drink. Sinew Nutrition Green Coffee Beans are made from a specific category of beans, all natural herbs, spices , seeds and other plants. High in antioxidants such as vitamin A, vitamin E, Vitamin C and vitamin B. It constitutes of insoluble fibre to speed metabolic processes and clean the lower bowel of harmful accumulation. Works skeptically, however, largely to enhance immunity and resistance power along with a strong gut. It restores the immune system to optimal function by eliminating toxic, harmful build up and making it feasible for the absorption of vitamins, minerals and anti oxidants in the lower intestinal area. It even aids in detoxification of your colon through our proprietary formula which comprises of 100% natural made further strengthens the belief of the customer.